Nurturing relationships with your customers is a crucial part of growing a successful business. In this age of automation and innovation, caring for your customers has never been more important. Making your customers feel important is a tremendous step in building customer loyalty. How do you know what customers want in order to feel important? While each individual is different, there are six definitive ways you can make your customers feel important every time they interact with your business. If your customer service representatives are unsure how to make your customers feel more comfortable with your company, we have six tips to get them started. Talk to your customers as you would in person, not like you would in a press release. Happy customers who get their issue resolved tell 4 to 6 people about their experience. So that’s a way to significantly influence the word of mouth about your business. Address your customers by name, and tell them your name at the very beginning of your interaction. When listening to your customers, take into account what changes your organization should make from this feedback, and then follow through. Your customers are the lifeblood of your organization, and not dealing with the reasonable requests could cause backlash. No matter your size, keep your customers in the know when it comes to positive and negatives changes to your products and services that affect them. It’s crucial to tread lightly when making changes to your products and services because your customers have become accustomed to what you’ve already got. Manage the expectations of your customers to ensure realistic goals are set and can be met. By remaining consistent in your messaging, your customers will learn what they should expect from you in the future. Making customers feel important also means that you anticipate their needs. Think ahead of your customers. Know what your returning customers need are and be ready to meet them. Though you may not know all the needs of new customers, try your best to read them and anticipate what they may need. Do not be afraid to ask what else you can do to make them happier. Always say “Thank You”. 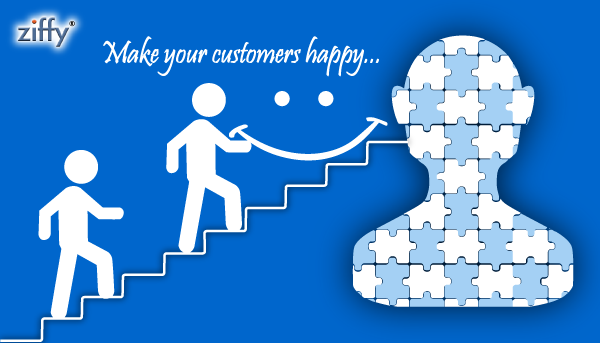 Valued customers are your loyal customers. Make the effort to make them feel important. With each positive impact you make on a customer, you will be rewarded – not only with their business, but by referrals and a reputation that precedes you.